Mug gifting is a popular trend these days. 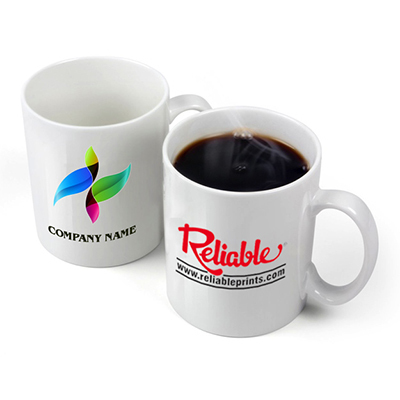 With ReliablePrints you can order mugs with a personal touch. You can use pictures of your friends and family in your mug designs. You can exchange such mugs as gifts at special occasions. If you are a little more creative you can promote your business by using your logo, business details, etc. 1.Prices start from Rs. 250/- per unit. Attractive prices for more quantities. 6.Get doorstep order deliveries or get it delivered to your loved ones.